This handgun was made for a client who has smaller than average hands. It was custom fitted to his hand. On the strong side there is a low mount thumb safety with an ambi safety on the weak hand side. 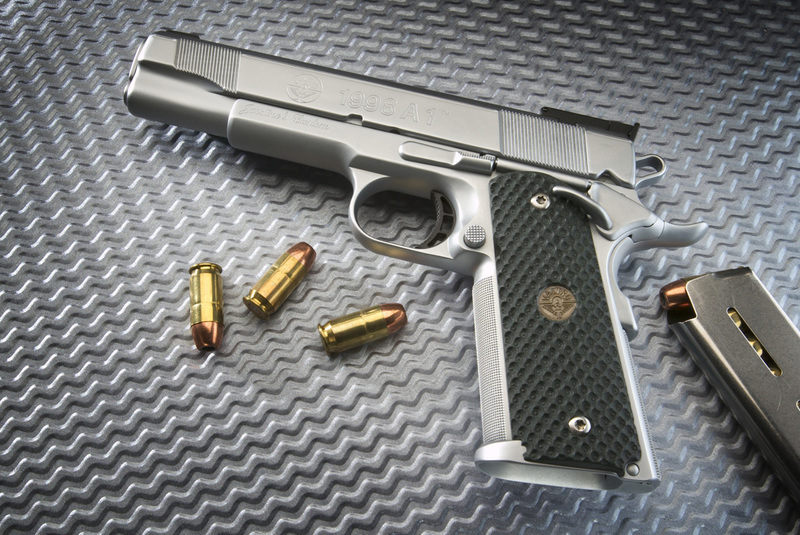 The way this gun is made you can shoot it either weak or strong hand and be able to actuate the safety and make the firearm function. 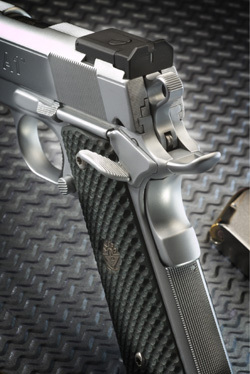 Because of the special customization done by Jardine's Custom this firearm may be operated using either hand even though a low mount thumb safety is present. Also on the safety is a special provision for the plunger pin to ride in a grooved recess that will not come over the top of the safety causing the gun to malfunction even if the plunger tube (which is welded on in this case) should ever come off the side of the gun or become loose. 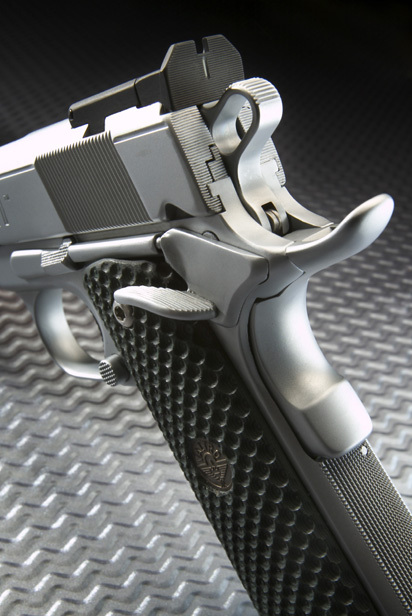 That is an exclusive tactical safety feature found only on Jardine's Custom work. 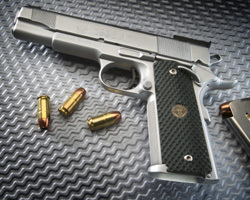 This gun also comes with a special tool steel hammer, sear, and disconnector that is a wire EDM special tool steel product. On the frontstrap there is a ultimate raised grip and the beavertail vortex grip safety is the most comfortable grip you will ever put in your hand. 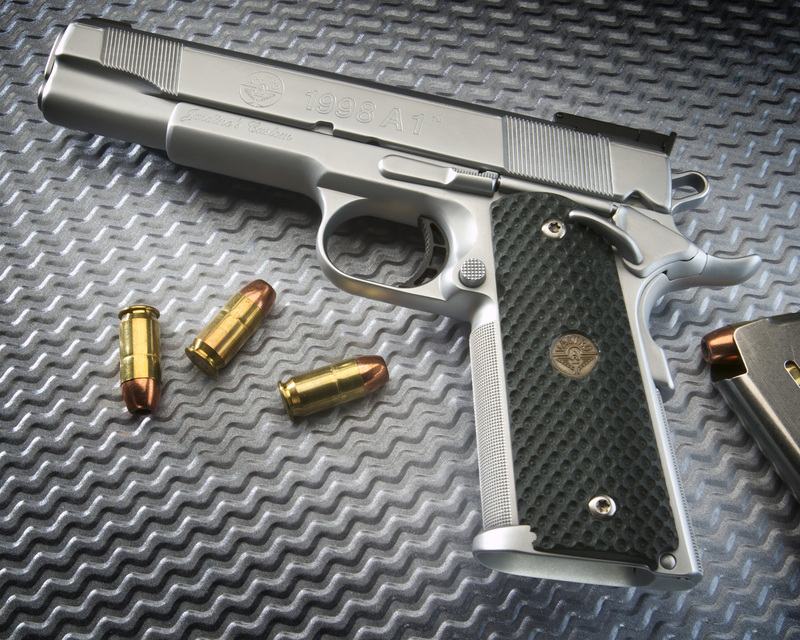 Made for long hours of comfortable shooting. 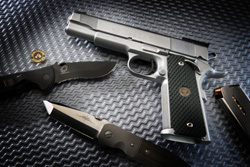 The trigger is a short trigger made to fit the small hands of the customer. The ultimate tactical action job (trigger job) for the fastest split times and double or triple taps has been performed on this pistol. with that great "breaks like glass" feeling. 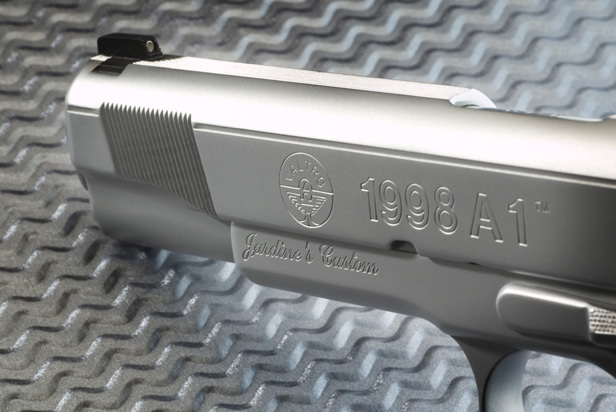 Of course, as is done on all Jardine's Custom handguns, a superb and tasteful dehorning and melting job has been done on this handgun. The slide stop is specially tuned for positive engagement with maximum reliability and functionality to this gun. Note: Jardine's exclusive geometry slide-stops. The slide stop is countersunk even with the frame so that it can not be pushed out of the gun when doing chamber checks, barricade work, or other operations. Also the engagement surface of the plunger pin is unique in that it incorporates three angles to enhance absolute reliability in the weapon. 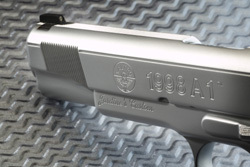 This is an exclusive that is standard on all of Jardine's Custom 1911's and Valtros. 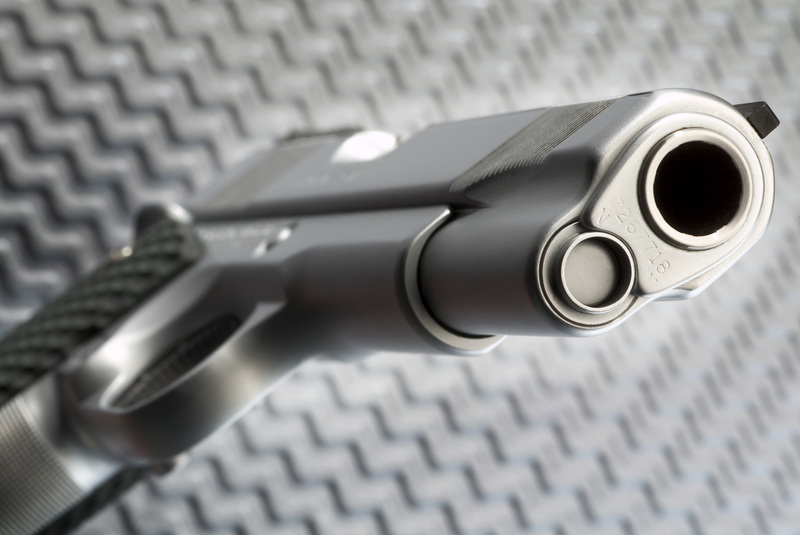 The back of the slide as well as the ejector and extractor are serrated on the back of this pistol to to give glare free performance. 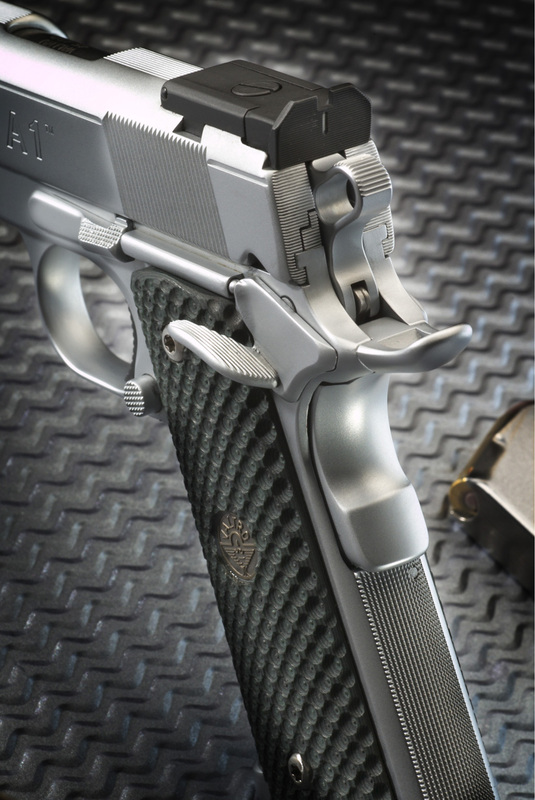 The front strap and back mainspring housing have perfect 30 lines per inch checkering as well. 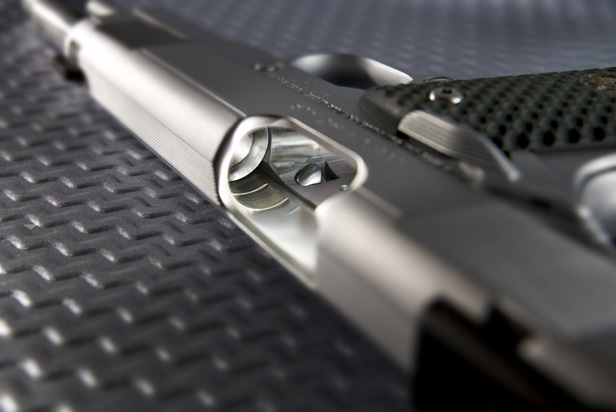 The rear sight is a combat forced angle rear sight which draws the eyes directly to the center notch and allows more field of view downrange on either side of the sight. This allows for much faster target and sight acquisition. As with all of Jardine's Custom handuns, the action of this firearm is "Glass smooth". 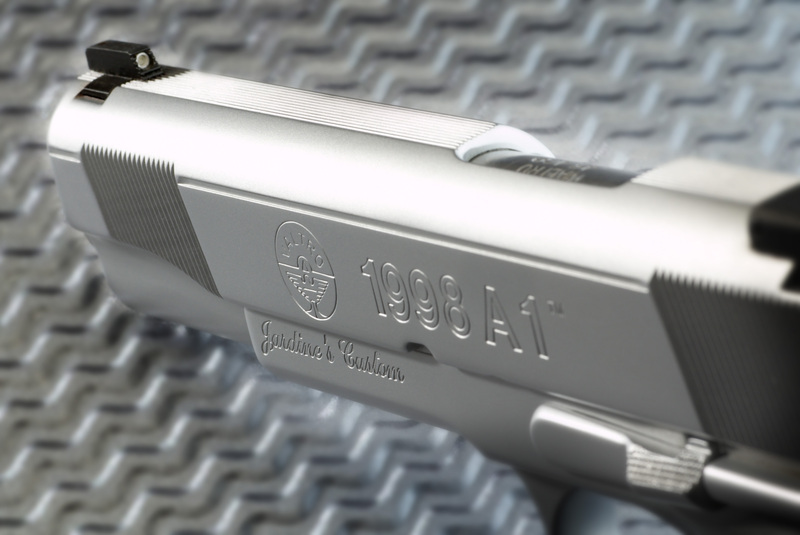 This particular hangun features many unseen special enhancements that are exclusive to Jardine's Custom Handguns for which his customers have grown to expect from his fine handguns. 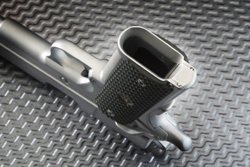 Superbly polished feedramp, throat and chamber. Perfectly machined and crowned protected barrel. Enhanced hand fitted match bushing. French borders, front cocking serration, flat top serrated. 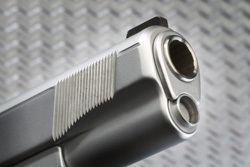 Tritium white dot sight insert. 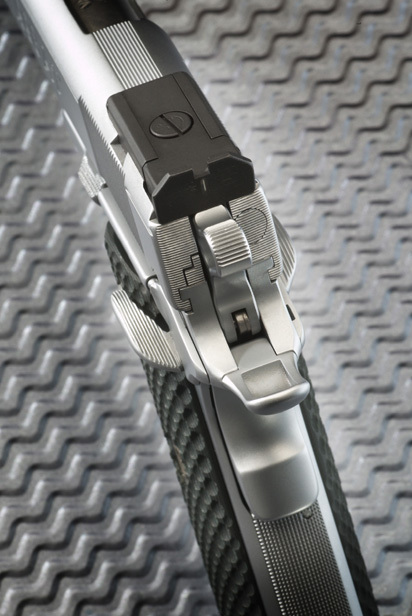 Forced angle rear sight with vertical tritium bar, serrated back of slide, superbly crafted vortex grip safety, and ambidextrous low mount thumb safety. 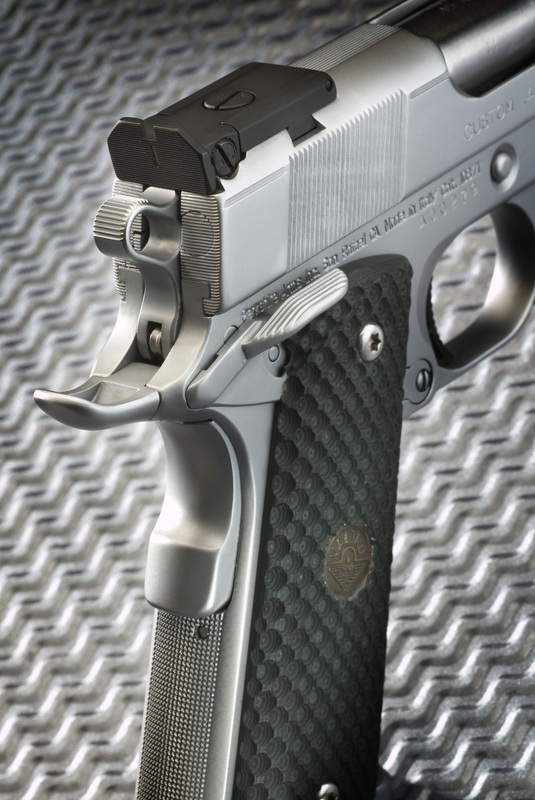 Low mount thumb safety, forced angle rear sight, backstrap checkering. Forced Angle Tactical Rear Sight, tool steel hammer. 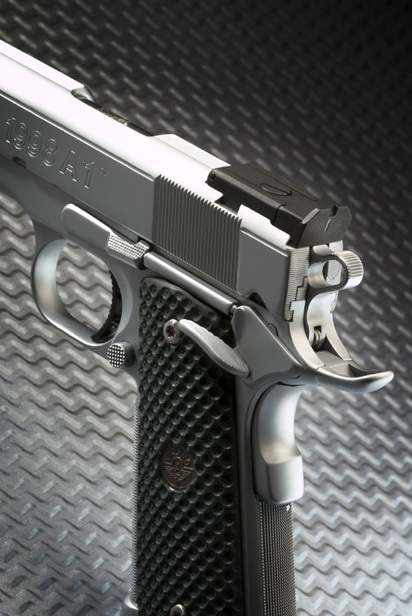 The natural conclusion of beauty and function.